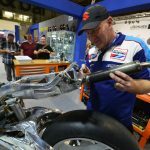 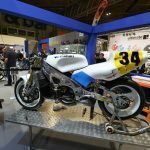 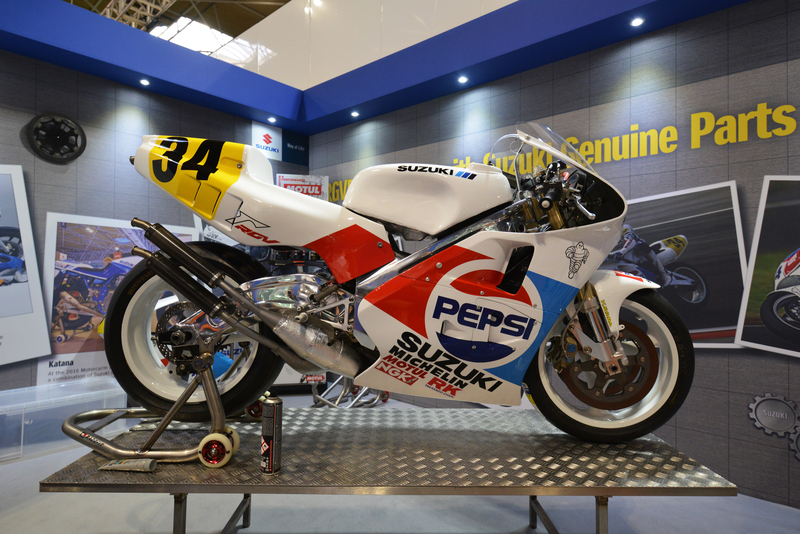 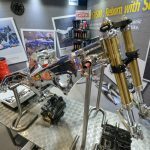 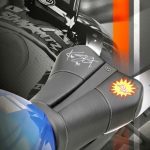 As part of its display at the 2017 Motorcycle Live Show last month in Birmingham, England, Suzuki GB completed a live full restoration of Kevin Schwantz‘s 1989 Pepsi Suzuki RGV500 Grand Prix race bike. 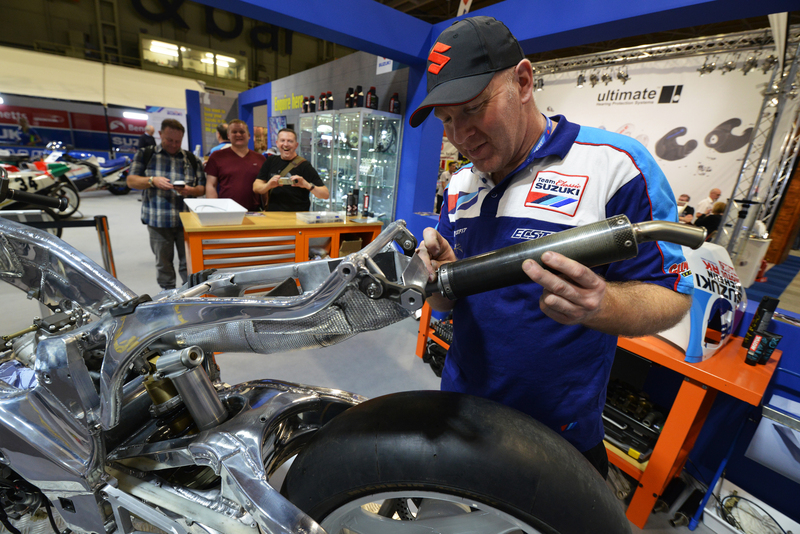 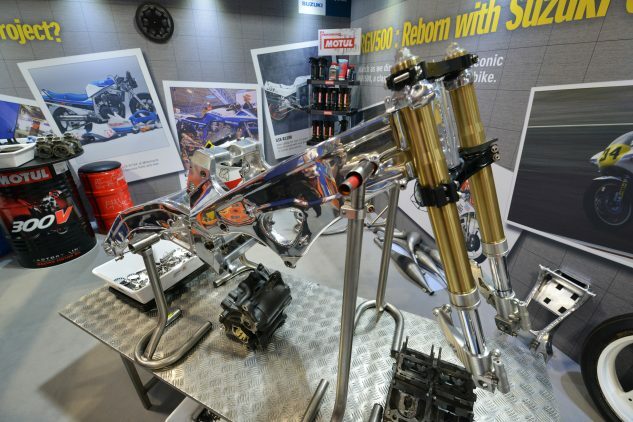 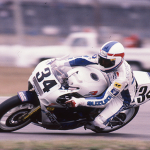 In a garage set up on the show floor with visitors dropping by to watch during the nine-day show, a crew led by Team Classic Suzuki Chief Mechanic Nathan Colombi completely stripped down and rebuilt the RGV500 which won six races in the 1989 500cc Grand Prix season. 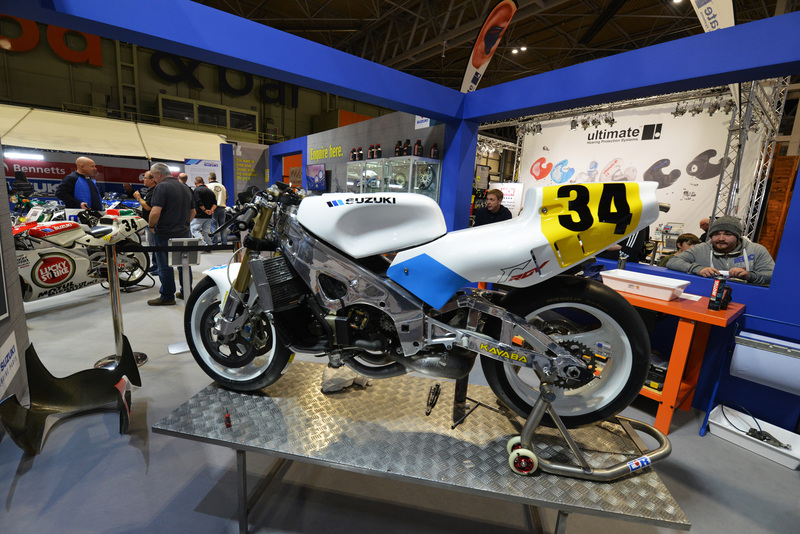 The 1989 RGV500 is fourth bike in what has become an annual tradition of Suzuki GB building a bike at the Motorcycle Live Show. The program started in 2014 with the assembly of a brand new TL1000S made completely from old stock parts. 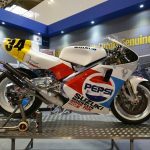 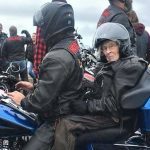 In 2015, Suzuki GB restored an original 1985 GSX-R750F as part of the celebrations for the 30th anniversary of the GSX-R line, and last year, the team used vintage parts to build a GSX1100SD Katana that was later raced at a four-hour endurance race at Donington Park this May.